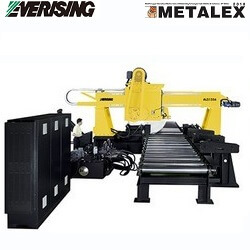 "Asean's Largest International Machine Tools and Metalworking Technologies Trade Exhibition"
Metalex is Asean's largest international machine tools and metalworking technologies trade exhibition and conference. Metalex 2018 is the center of a region where technologies, knowledge and experience, ideas and business opportunities will be shared and exchanged. Come to expand networks, get market insights and explore opportunities to grow in the emerging South East Asia. 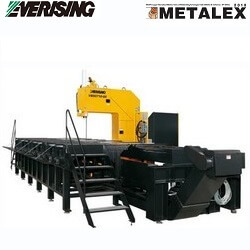 Join EVERISING at METALEX 2018 in Bangna, 11/21-11/24. See us in Hall 102, BOOTH : BN19. 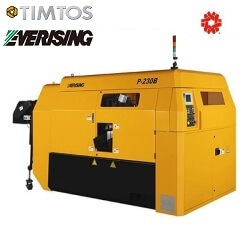 The Timtos as an international trade fair for tool and machine tool industry is an important meeting place and information platform. International exhibitors are represented at this fair and have some chance their products to a broad and internationel audience. 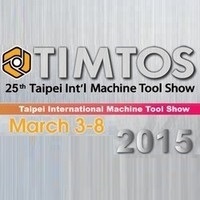 EVERISING MACHINE CO. will attend this grand event of TIMTOS 2019. We look forward to seeing you soon. 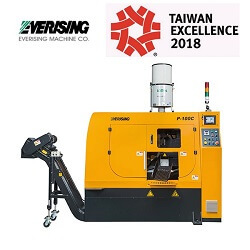 The TMTS will be held from November 7th to 11th 2018 (Wednesday – Sunday) in Taichung, the heart of the Taiwanese machinery industry, at the Taichung International Exhibition Center and the Greater Taichung International Expo Center. 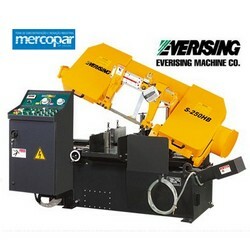 EVERISING has been specializing in mid to large size band saws and circular saws since 1982. 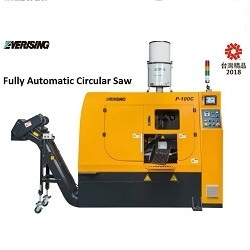 Our R&D has yielded constant break-through over the years and has made us become the leading band saw manufacturer in the industry. 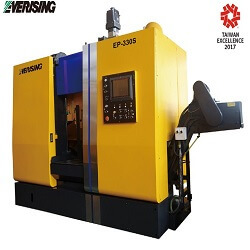 1.Machine construction by full enclosure protection cover. 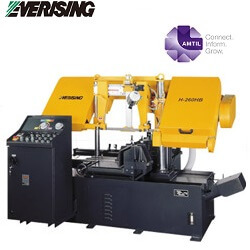 2.Cutting and feeding driven by AC servo motor and precision ball screw. 3.Bars are conveyed by heavy duty rollers with floating support mechanism to eliminate lateral run-out of the material. 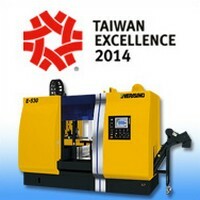 4.Hydraulic cylinder may shift the bar material upwards/downwards automatically. 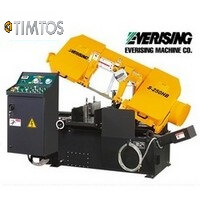 5.Automatic chip conveyor under saw blade directly. 6.Air filter for collecting oil smoke for maintaining clean environment. 7.Inner brake: reduce vibration make cutting steady, reach high accuracy cutting and lengthen the blade life. 8.Cooling air blow to saw blade for extending life time. 9.Compact Hydraulic unit for easy maintenance and service. 10.Friendly and easy to operate touch screen. 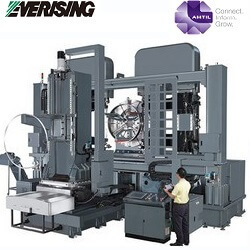 11.Vertical and horizontal hydraulic clamping devices. 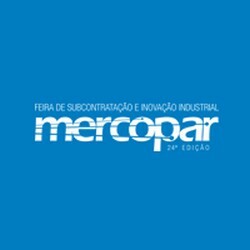 Mercopar – the Subcontracting and Industrial Innovation Fair, reflects the capacity of department of metal-mechanic, the advances and the quality from industry, beyond works like a thermometer of market. Becoming the perfect point to divulgate the innovations and raise the level of competitively from your company. 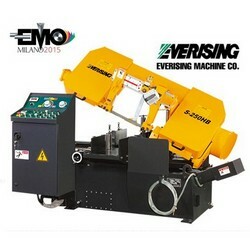 EMO MILANO 2015, the world exhibition of machine tools, robots and automation, will take place at Fieramilano from 5 to 10 October 2015, in conjunction with the great Universal Exposition EXPO. 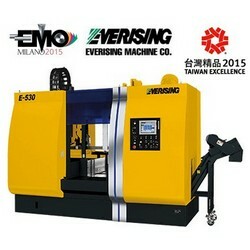 Alternately hosted by Italy and Germany, EMO is the main exhibition for the international operators of the manufacturing industry, who will meet in Milan next autumn, coming from all over the world for a six-day, full-immersion event among the novelties proposed by the major worldwide players. In the halls of fieramilano Rho-Pero the largest factory in the world will be set up. There will be a wide range of products on display: machine tools, robots, automation, additive manufacturing, mechatronic solutions and auxiliary technologies. 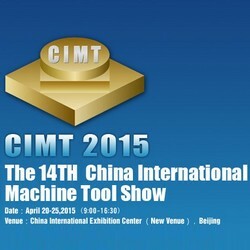 China International Machine Tool Show (CIMT) is one of the four famous World International Machine Tool Exhibitions along with the EMO (European International Machine Tool Exhibition), IMTS (Chicago International Machine Tool Fair of America) and JIMTOF (Japan International Machine Tool Exhibition).